Absinthe is a strong alcoholic liquor of typically 68% alcohol by volume / 136 US proof. 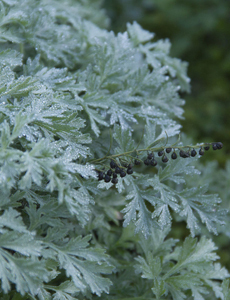 The name "Absinthe" derives from "artemisia absinthium", the Latin name of wormwood and the spirit´s main ingredient. Absinthe traditionally has a natural green color. It is commonly referred to in historical literature as the "Green Fairy". Absinthe Gothica is different, Absinthe Gothica is the "Black Fairy"! 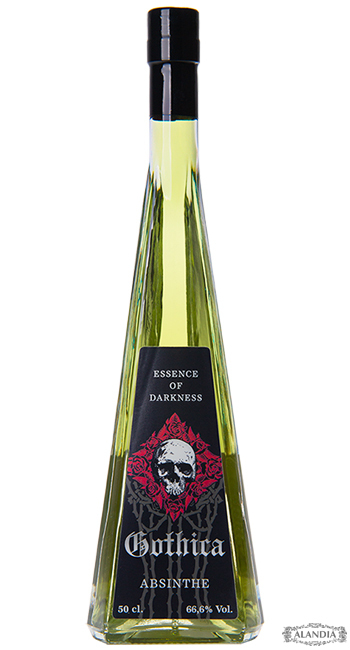 How does Gothica Absinthe taste like? Unlouched, black color with purple parts at the edges. Louched, magic purple louche, with a black layer on top. Overall mid to strong density. Herbal notes of wormwood are first, followed by some sweet, slightly bitter tones reminding of cloves, cinnamon and roses. Overall a dense presence of wormwood. Sweet tones stay on the tongue with a pleasantly warm feeling. Gothica is a merciless strong Absinthe, no doubt in this regard. But its taste is pleasantly sweet like a Fairy´s kiss. How do I drink this black Absinthe? 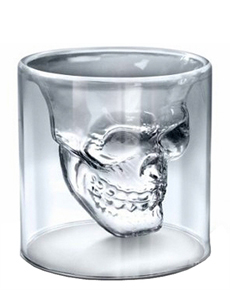 Take a sugar cube, put it in an empty glass of Champagne and pour just a bit of Gothica Absinthe into the glass. Only so much, that the sugar cube is Absinthe-soaked and therefore as well black in color. Then you fill the glass with Champagne. The sugar cube will dissolve in black swirls by the bubbles of the Chamapgne. Magic! Check out as well our video of Gothica Absinthe. It shows another drinking variation for this Absinthe: Gothica blended with a bit of red wine. It´s delicious and inspiring! Check out as well our video of the traditional French Absinthe Ritual. Where can I buy Absinthe Gothica online? 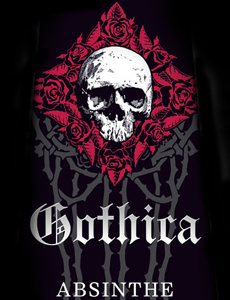 Online, Gothica is exclusively sold by the Absinthe online store ALANDIA. ALANDIA was founded in 2001, soon after legalization of Absinthe in the European Union. Since 2001 they are serving the Absinthe community. Worldwide shipping is offered including the USA. The delivery is 100% guaranteed. „Strong as hell, this stuff is evil!! Love it!"